A week of typically blustery Irish weather, with hail, sleat and snow regularly thrown, meant that it was a nice relief to be back in big city life with the sun shining. Inevitably, as is usually the case, the birding was slow. Saturday's visit to Thames Barrier Park produced little of note while similarly the river and woodland in Rotherhithe were typically quiet. 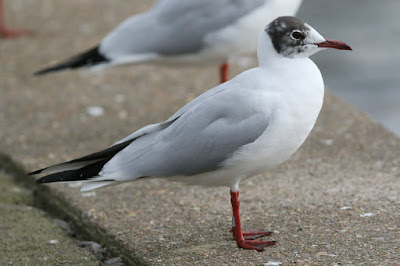 Not even a gull ring to write home about. 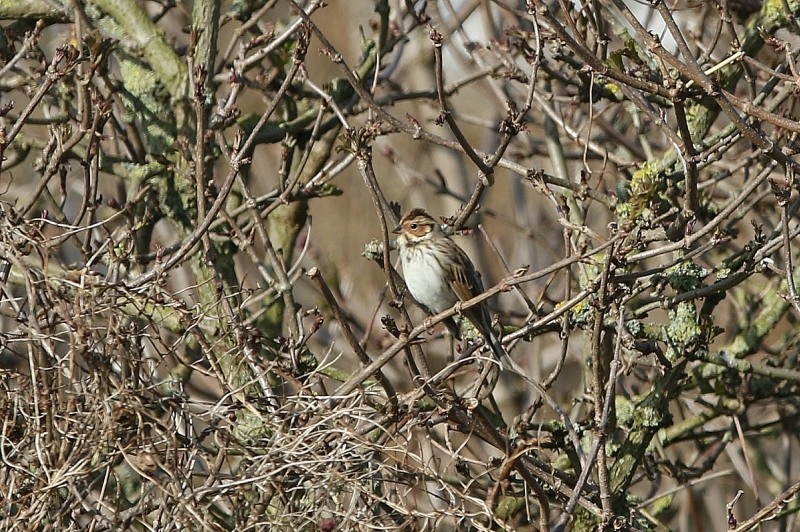 On Sunday, it was time to revisit the Little Bunting at Walthamstow Marshes which I'd only seen in horrific conditions when it first turned up. I met the man of the moment, Dante S, on site where it had already shown nicely. There was a seeded tray now, put out by local birders, to entice it a little bit closer... which nearly worked. 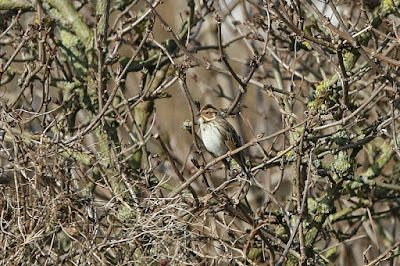 However, I was more than happy with prolonged views of it in its favoured bush as it sunned itself in the early spring-like weather. As always bring on next weekend and fingers crossed for the start of some cold continental weather.